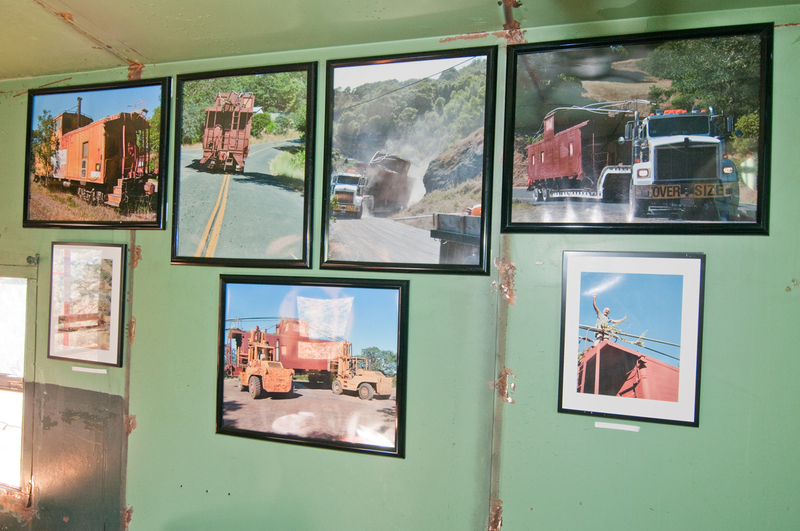 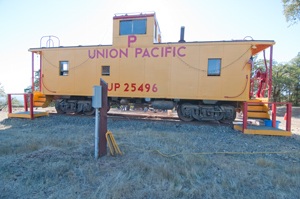 Attended an anniversary party for the Caboose 5 Oct 2013 and took some photos of it and of a 1942 Ford script GPW Jeep that was also there. 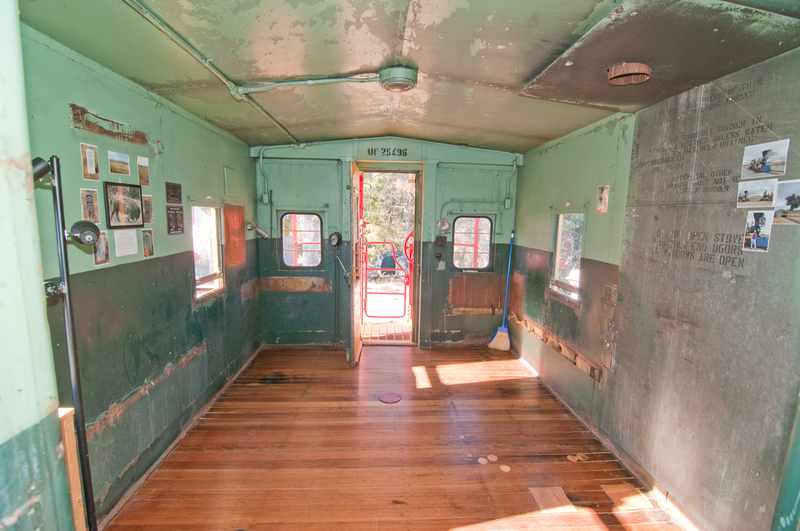 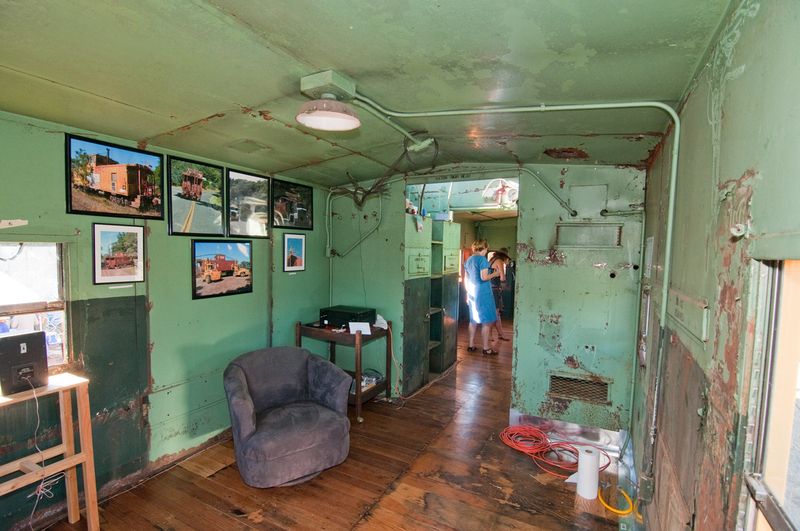 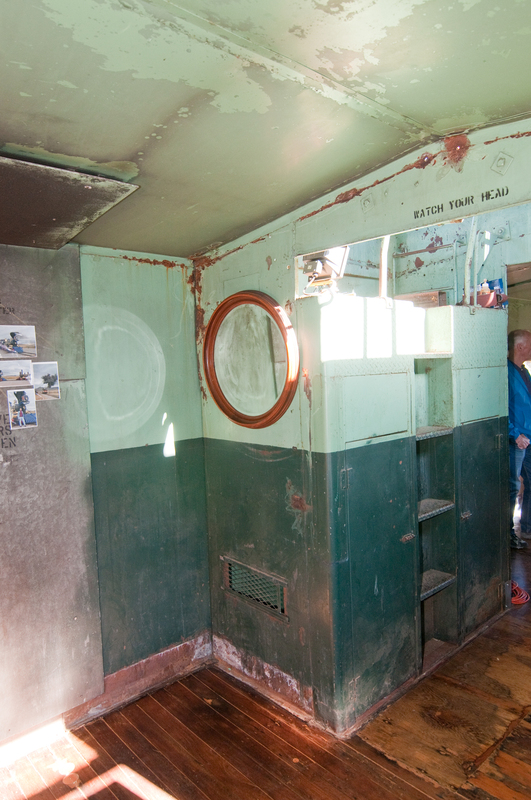 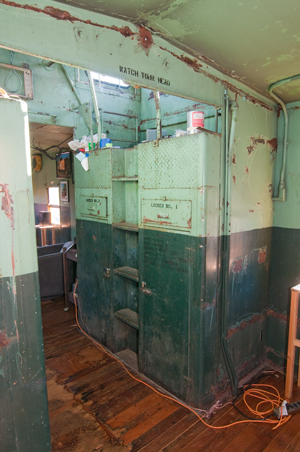 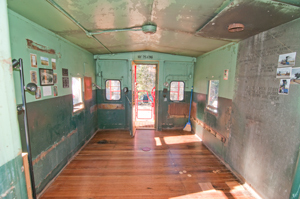 Unlike the other cabooses I've seen, this one has the original interior, i.e. 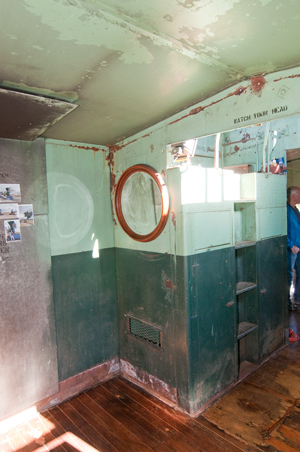 it has not been remodeled. 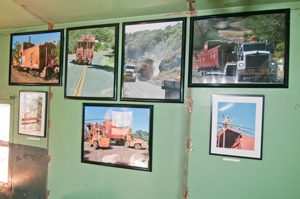 Also at this party there was a 1942 Ford script GPW Jeep. 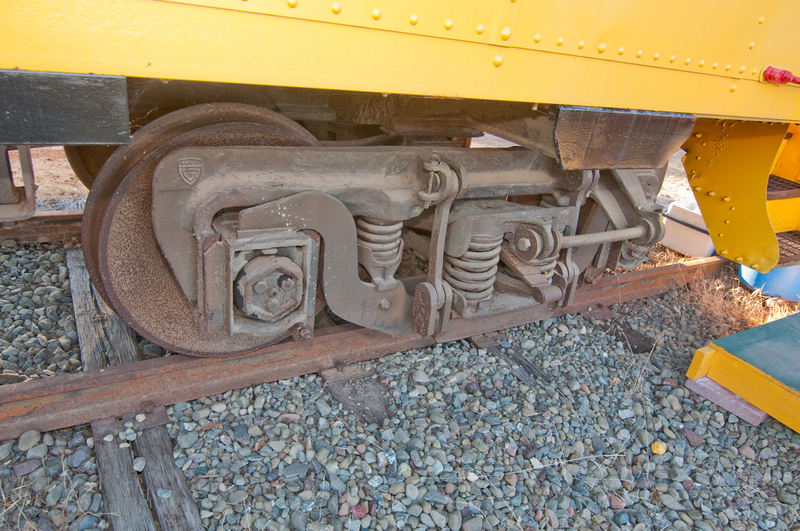 wear and for the installation of new brake shoes. 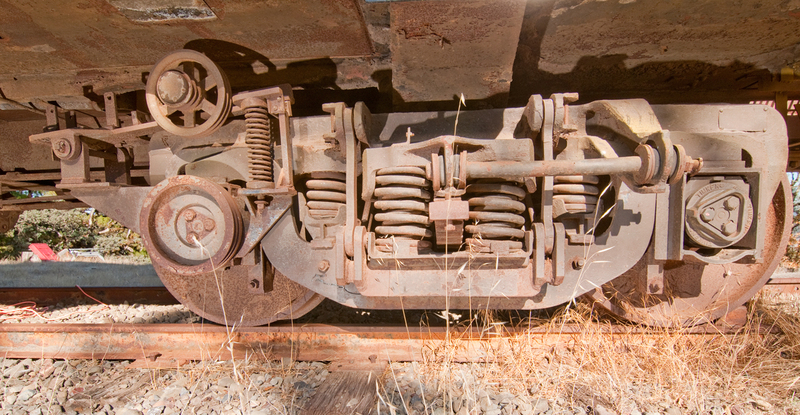 Richard Feynman: What keeps a train on the track? 256571 Car Truck, C.W. 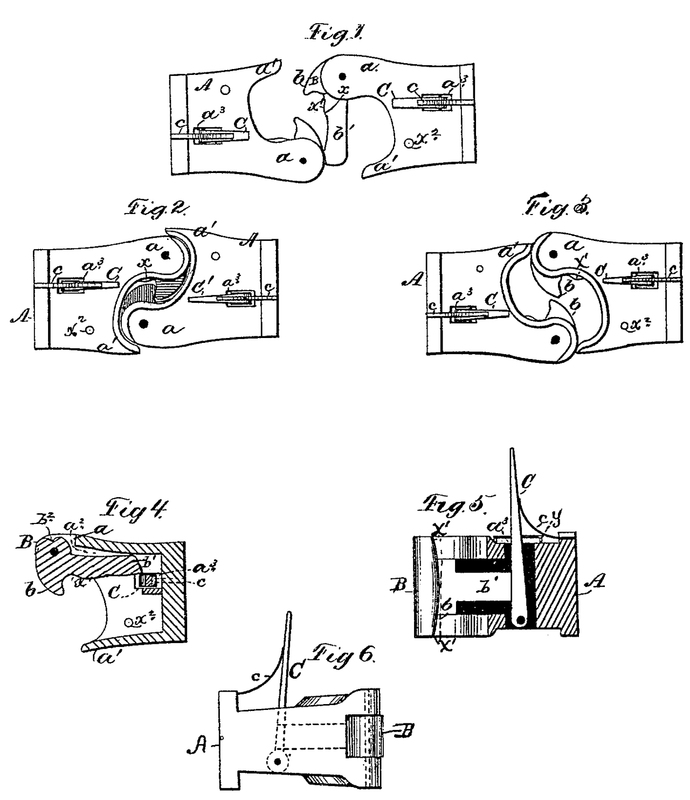 Hunt, Apr 18, 1882, - "conical rolling-surface". 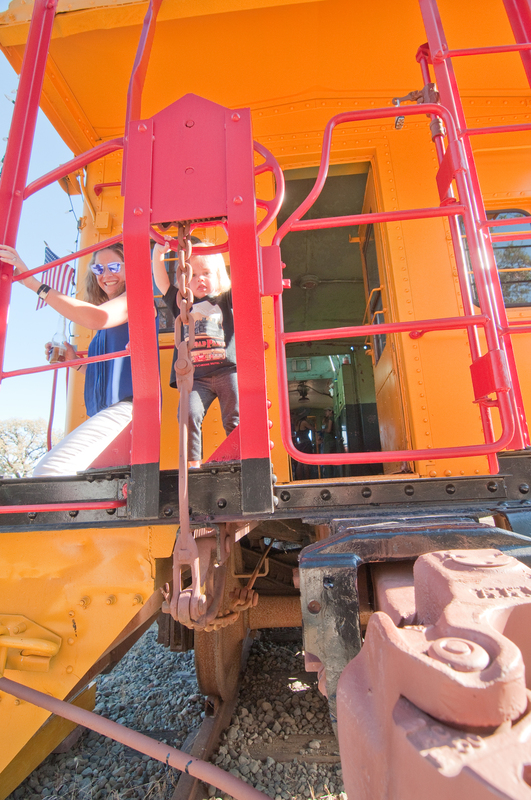 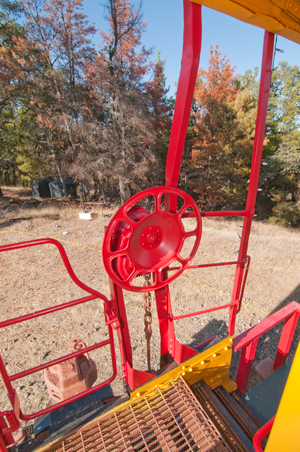 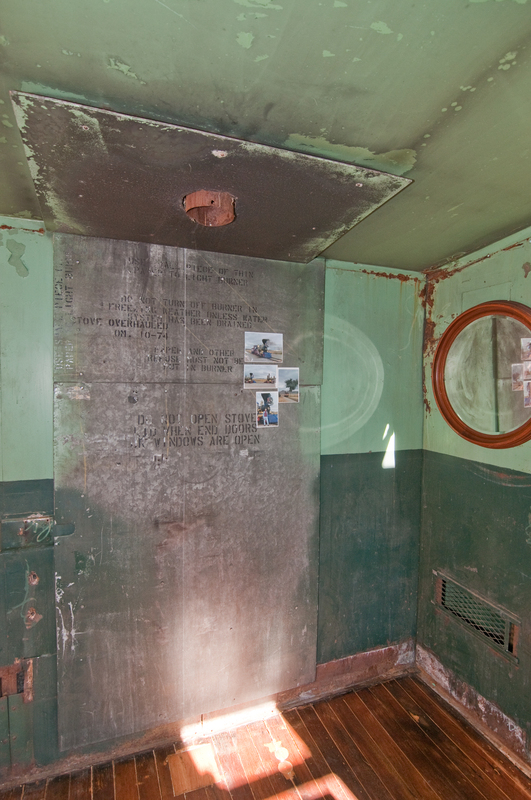 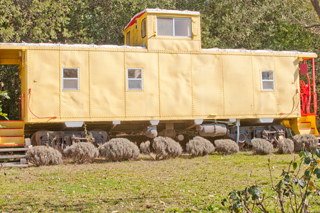 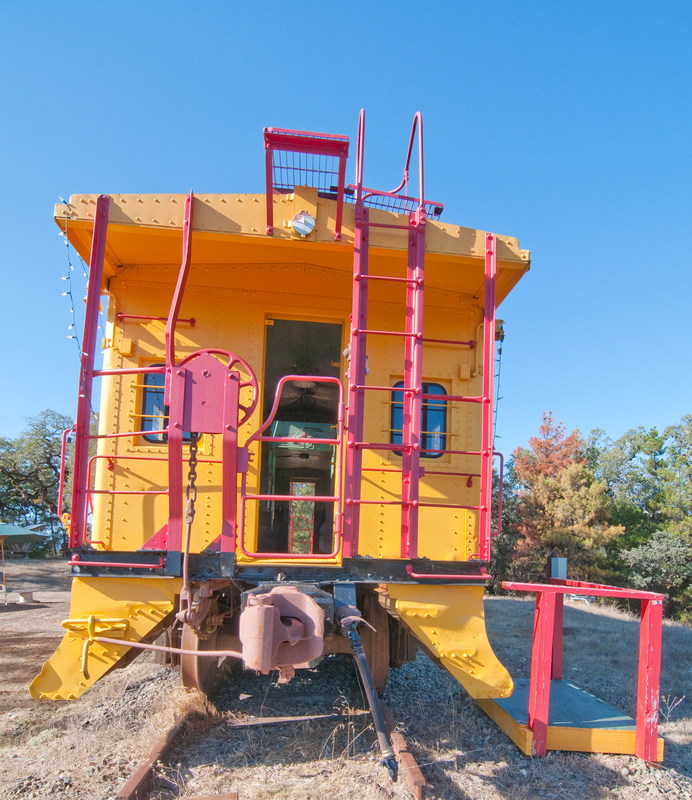 One of the reasons for the caboose was so that the "brakemen" had a place to rest. 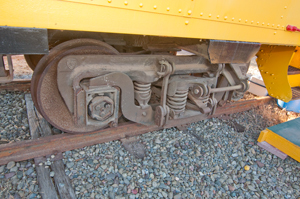 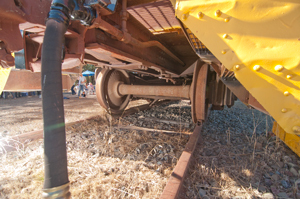 Brakemen were required to manually apply the brakes (the big steering wheel at the end of each train car) in order to slow and stop the train. 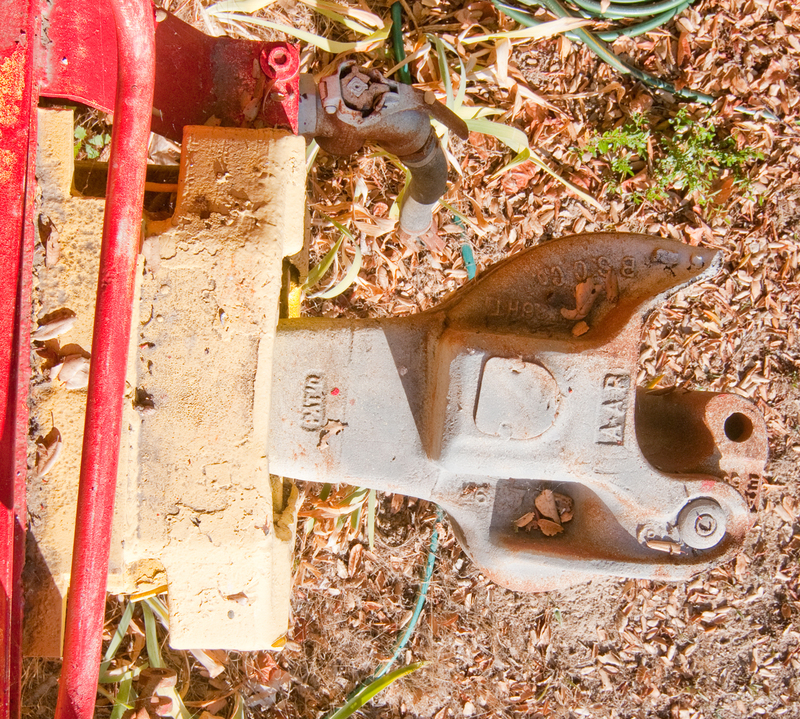 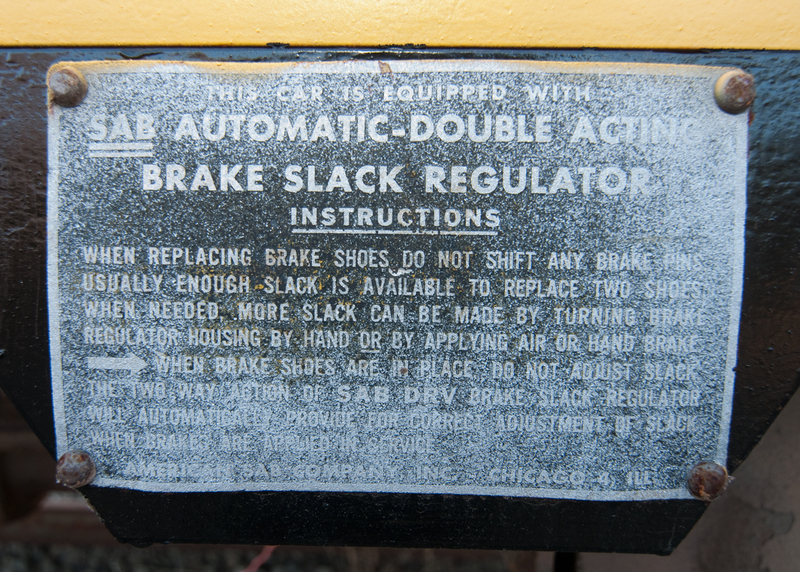 They were replaced when the Westinghouse Automatic Air Brake (Wiki) was developed. 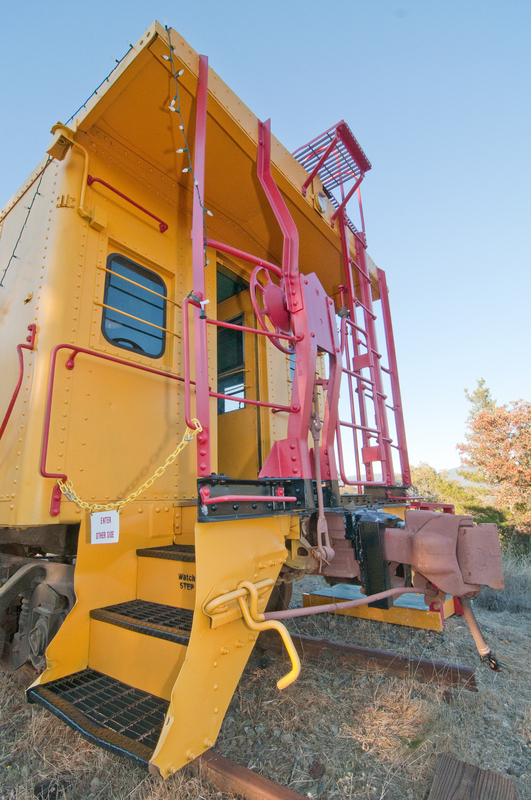 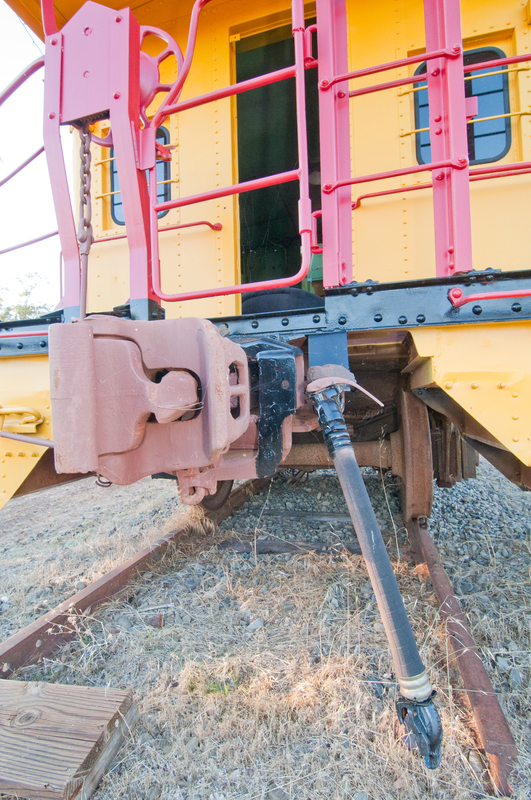 These air brakes stop the train when air pressure is applied from the engine. 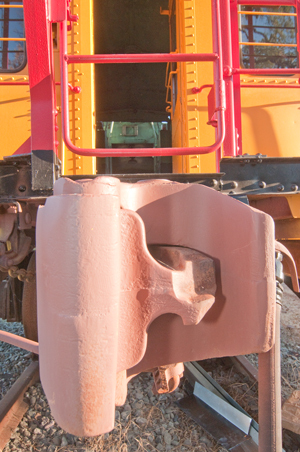 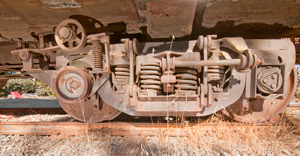 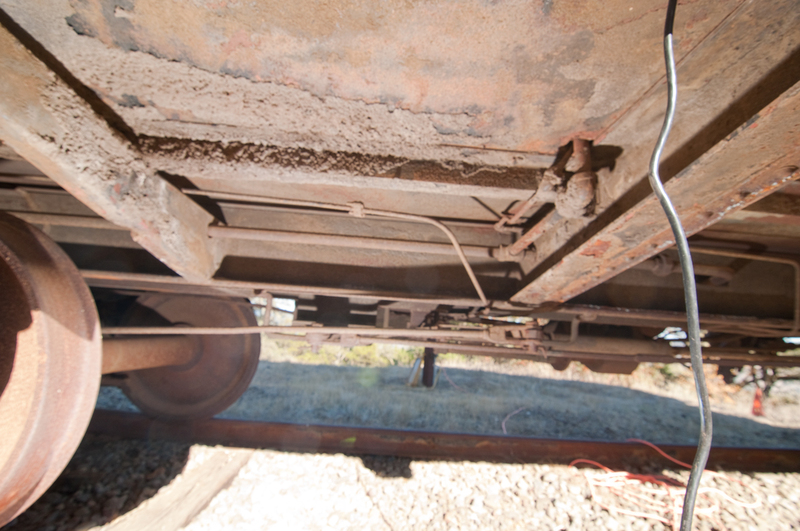 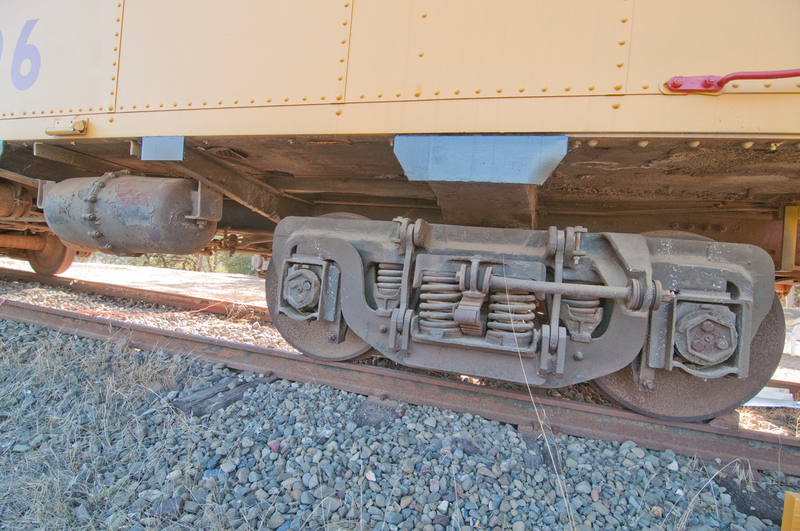 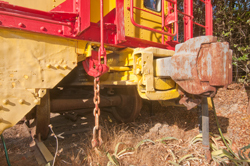 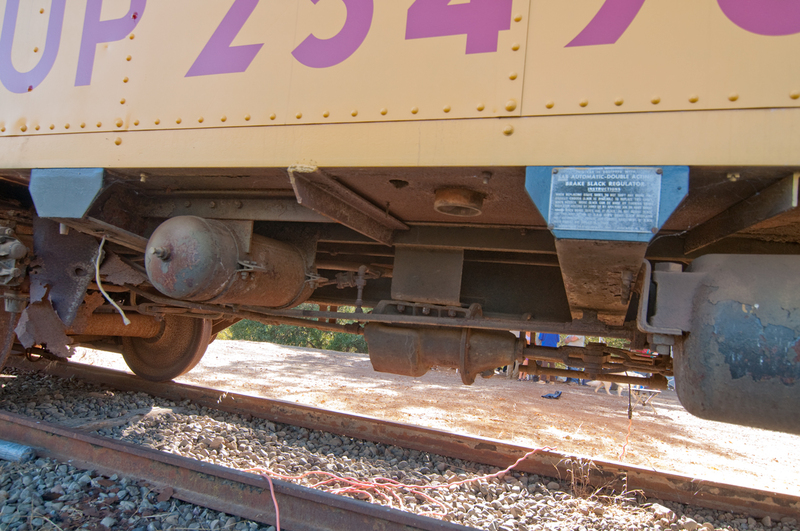 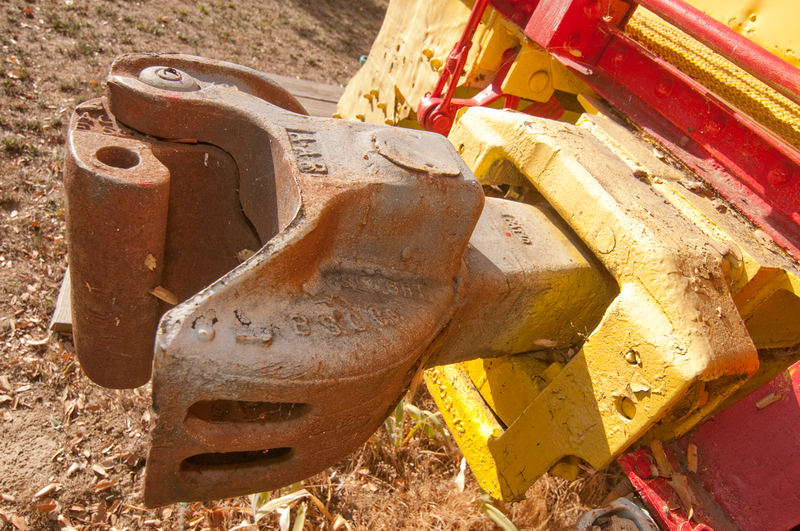 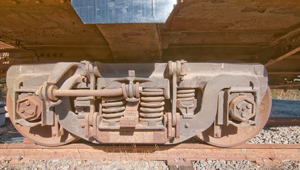 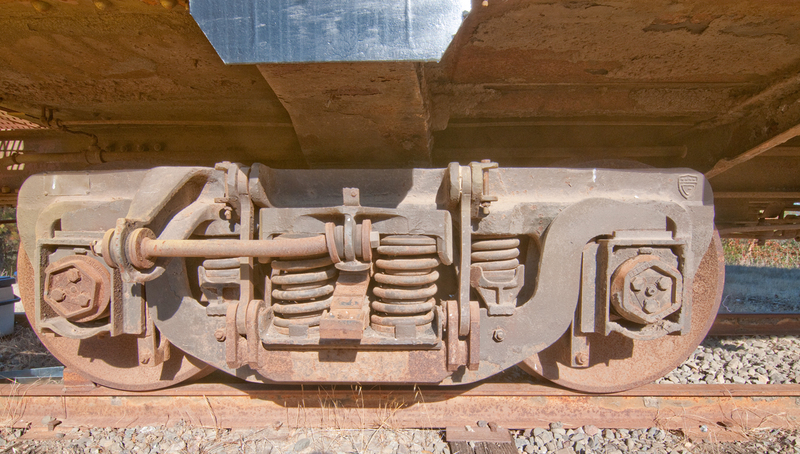 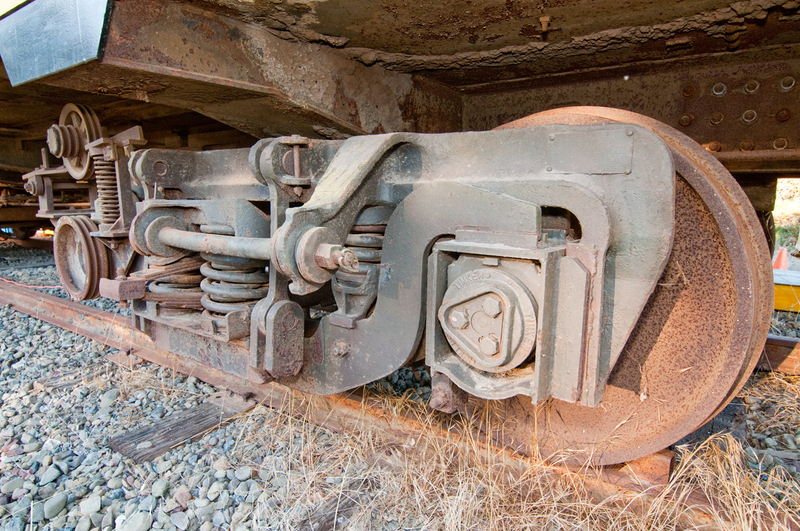 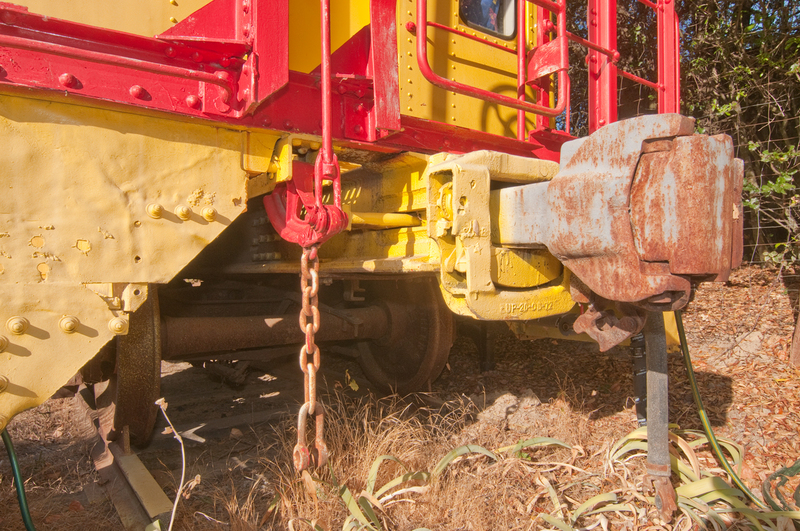 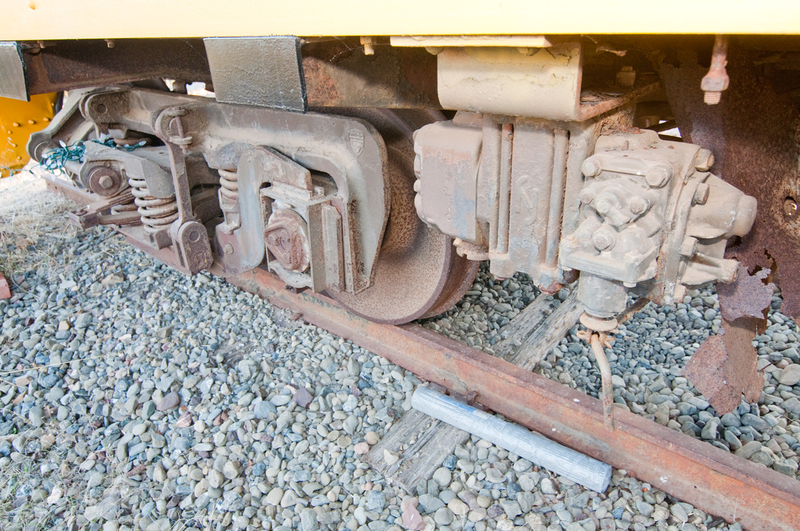 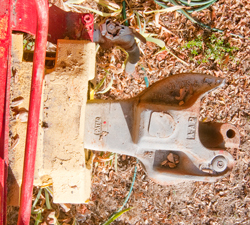 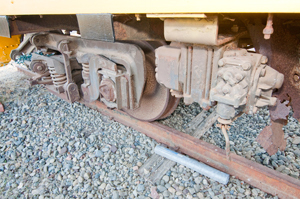 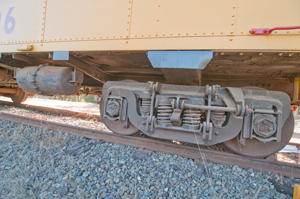 If the brakes are engaged and a coupling breaks, like when a car goes off the tracks, then the valve in the coupling closes so that the cars still on the track have braking air pressure. 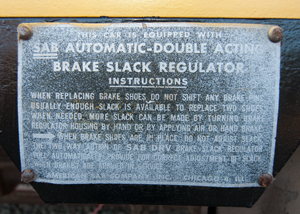 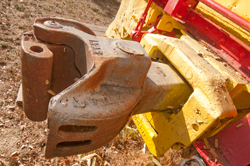 This system was later reversed making the "automatic air brake" where the brakes are automatically applied if there is an air leak in the system. 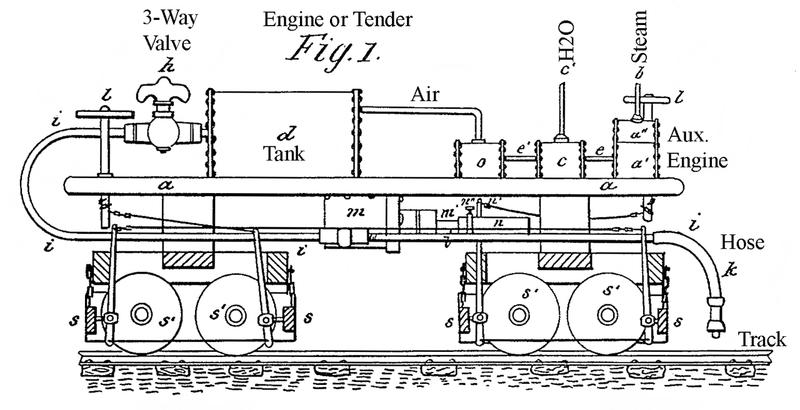 609484 Fluid-Pressure Automatic Brake, George Westinghouse, Aug 23, 1898, B60T17/18 - dual system with pressure tanks on each car and two hoses between cars. Later brakes work with a single hose between cars that's pressurized for rolling and has atmospheric air pressure for braking. 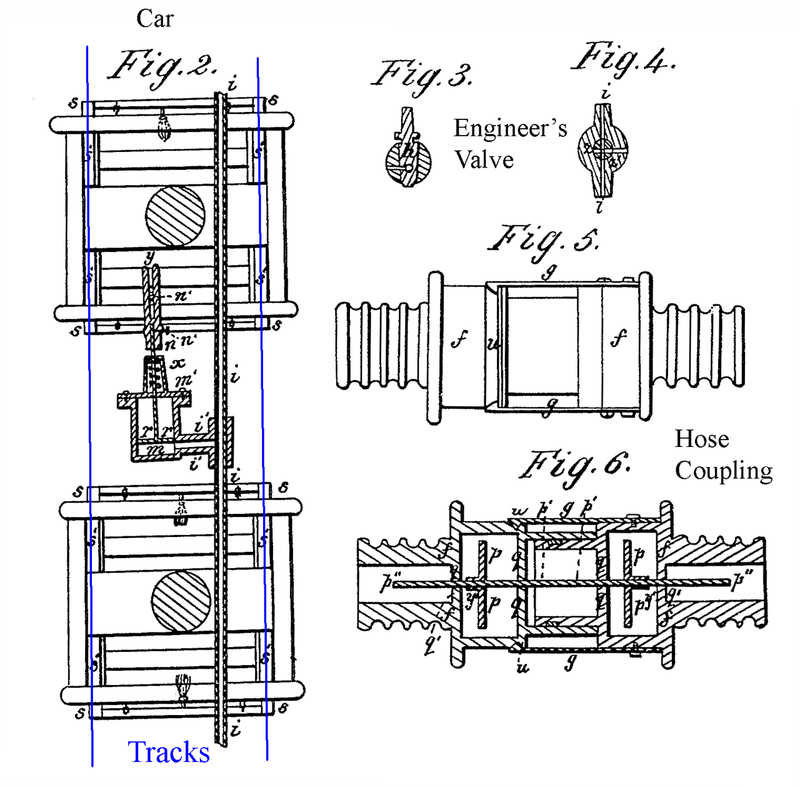 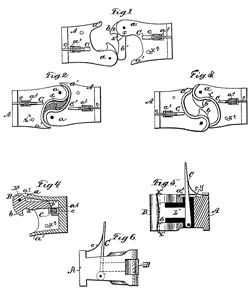 Invented by Eli Janney (Wiki) in 1873. 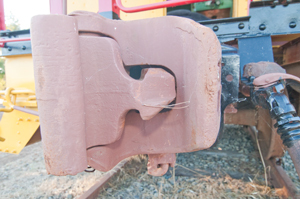 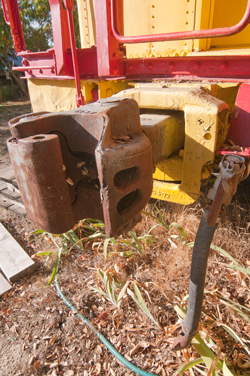 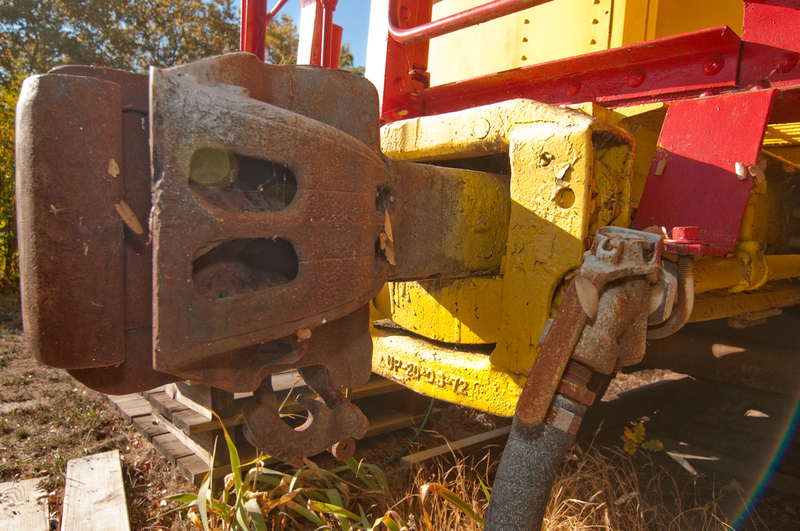 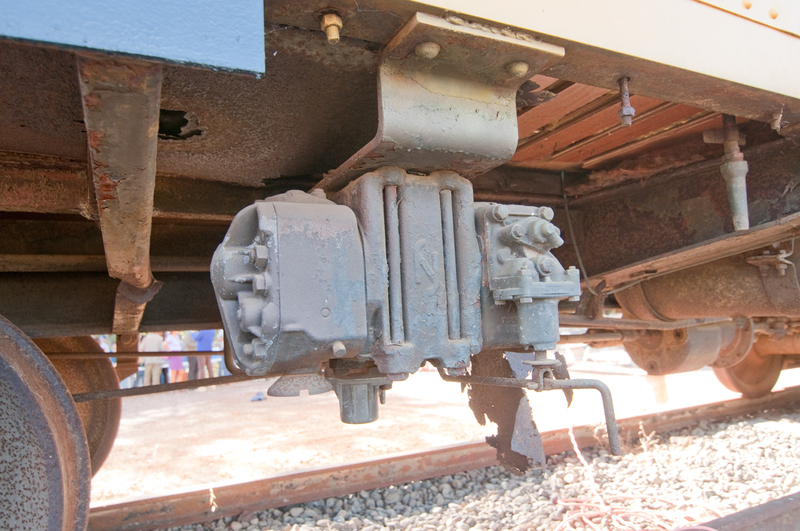 This coupler is on a different, but very similar UP capola caboose. 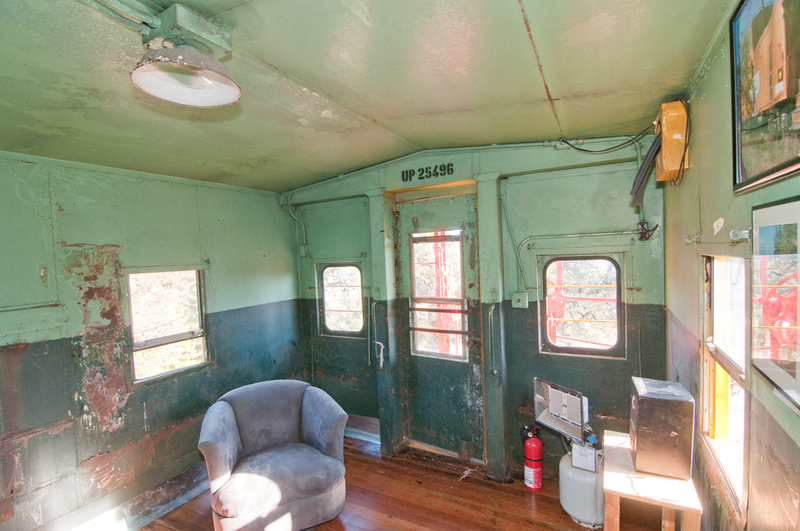 This one has been remodeled inside to be suitable to live in (bath but no kitchen). 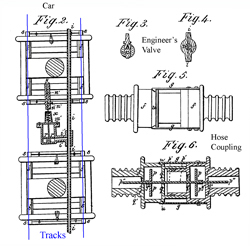 Henry Timken (Wiki) invented the tapered roller bearing used on train axles and pretty much anything with wheels. 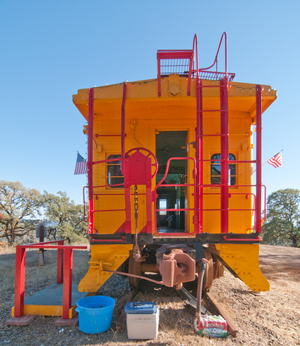 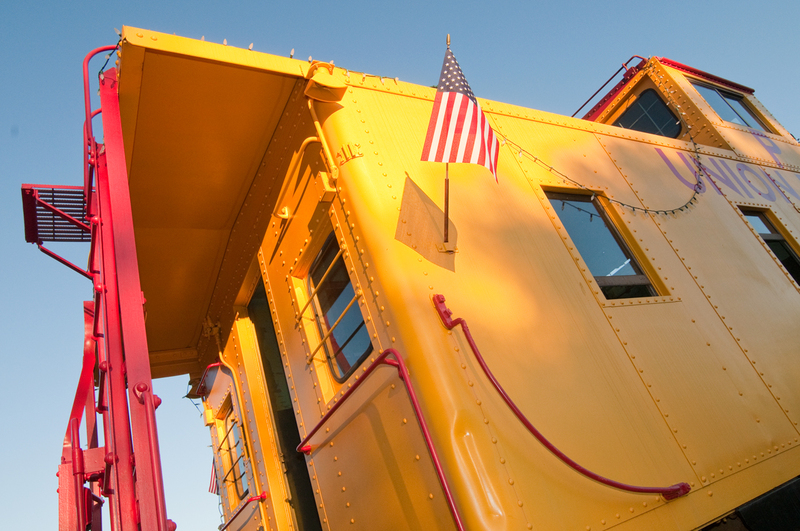 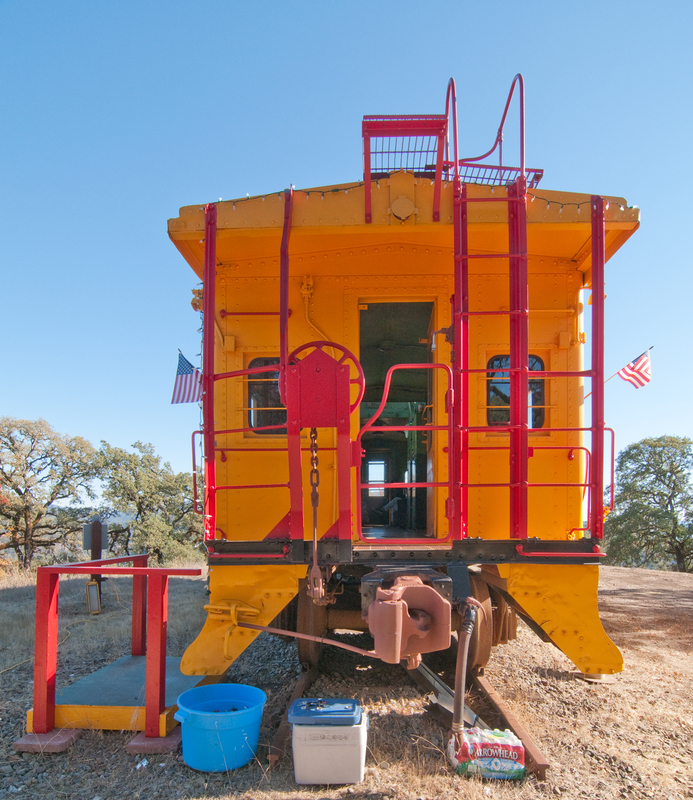 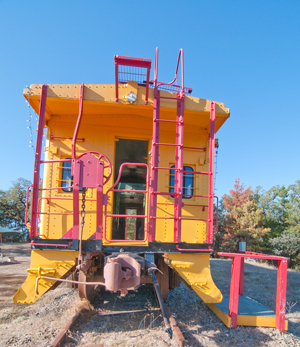 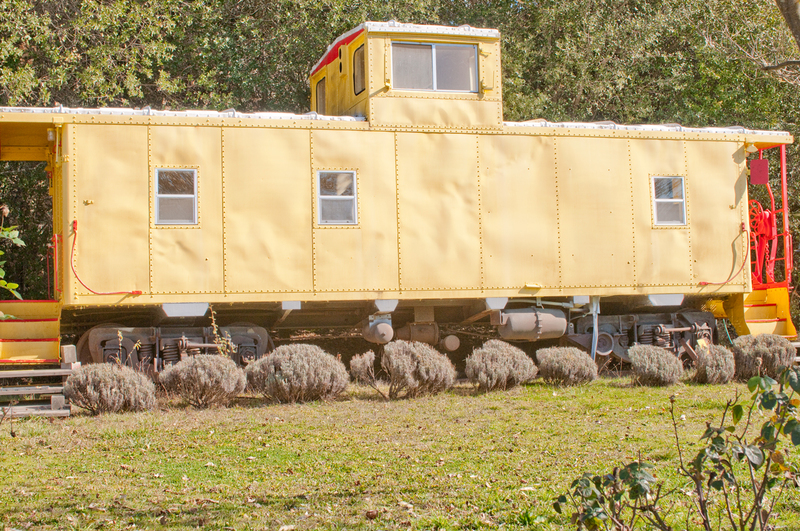 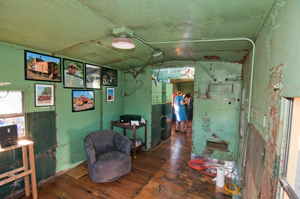 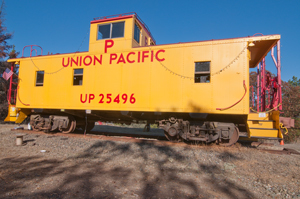 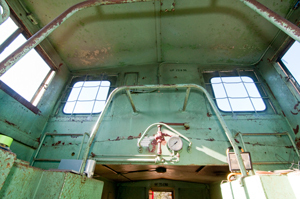 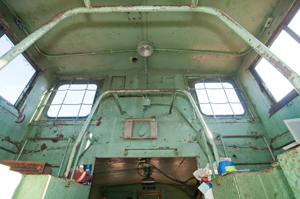 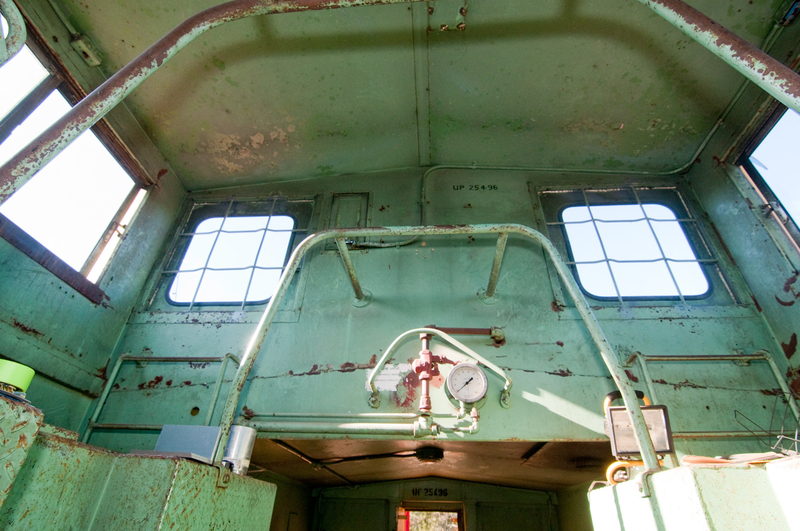 Southern Pacific Bay Window Caboose No. 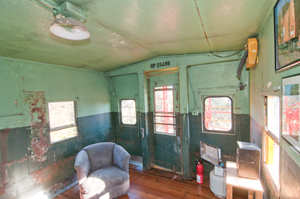 1345 that was for sale, now sold.